Attention deficit hyperactivity disorder is a common problem that affects as many as 9% of school children. Although some find that their symptoms virtually disappear by their early twenties, about half of all children with ADHD carry on experiencing a lack of concentration and restlessness for the rest of their lives. Treating ADHD is important to improve a child’s chances of getting school qualifications and for helping them deal with adult life. 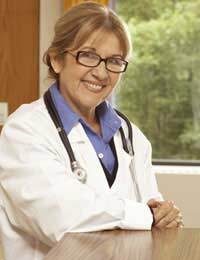 GPs and other health professionals are usually extremely sympathetic and know the signs and symptoms to look for. They will listen to your concerns and will usually refer you to a specialist for an accurate diagnosis, either for yourself or for your child. Remember that ADHD is common in families – if your child has ADHD it is possible that you or your spouse also have it but maybe it has never been diagnosed. Your GP will help you decide if you or other members of the family also need to be assessed. It is a good idea to have a bit of a read of good quality internet sites so that you have an idea what ADHD is and some of the symptoms. A GP will not think you are trying to out-do them and if you have some background knowledge, that can help. If you find you are getting confused, then ask the doctor to help explain some of the things you ran into trouble with. You can ask your GP for the latest knowledge about what ADHD is and what causes it. You will probably want some reassurance, if your child is diagnosed with ADHD, that you have done nothing to cause it. It is also a good idea to ask for information about what to do to help your child. Although drugs like Ritalin can help, a well structured day, some clear rules at home, regular sleep, a good diet and plenty of activities to help a hyperactive child let off steam are all important. Finding out your child has ADHD can be stressful and, if you suffer from the adult form, the frustration can be overwhelming. The important thing for any parent is not to blame the GP for delivering the news or for probing into your family life. They are trying to help and do not want to make you feel uncomfortable. You need to listen carefully to instructions about any drug treatment, follow up appointments and other advice and it is hard to take everything in, so take a notebook and write some of the important points down. If you are friendly, even if you are obviously worried and upset, your GP will do all they can to help. If you child is given a drug to treat their ADHD it is important to understand exactly what effects it is going to have. Ask your GP about any side effects to look out for and ask about when the best time of day to take the medication. You may be concerned about the length of time your child needs to be on the treatment, and if there are any alternatives. Keep asking questions but don’t overload yourself with information just after receiving the diagnosis. Ask your GP to make a follow up appointment a few days later, so that you have time to gather your thoughts, talk to other members of the family, and let the news sink in. If you child has ADHD you will also need to talk to them about what it means – if they are older teenagers, they need to be fully involved in their treatment and the decisions about how best to help them.